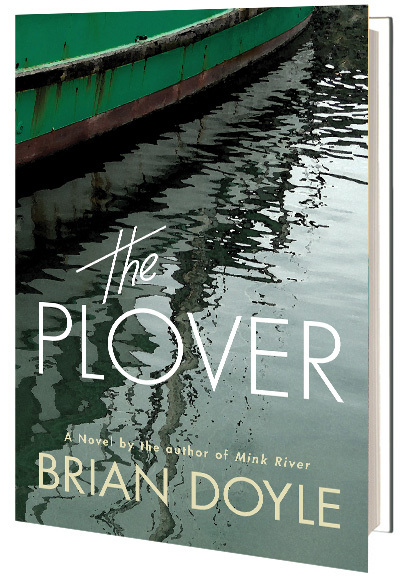 Brian Doyle’s latest, The Plover, is an intimate read. Doyle tells us very little about the unforgettable characters he craftily weaves through our experience, but he shows us everything. Declan O Donnell, owner and captain of the intrepid Plover, is a sailor, fisherman, adventurer, raconteur, and philosopher who has a curious fixation on Edmond Burke, the eighteenth century Irish statesman and orator. Lines from Mr. Burke’s fiery speeches abound throughout the novel and offer us a close look at Declan’s sense of human history and how he perceives both the world and himself. We see him emerge over the course of the story and it’s impossible not to feel like we know more about him than he knows about himself. For such a small craft, the Plover’s crew evolves into a surprising number of people, birds, rodents, and spirits. Doyle’s writing is pure, experimental, and invisible as the story assumes control of us. There are huge and fundamental questions here, about what human beings really are, what our relationships to other creatures might be, and how we relate to our rock-and-water home. Probably the most magical character is Pipa, a gifted young girl who cannot move or speak coherently because of a terrible accident. But she affects the crew in deeply profound ways. She is the wondrous portal through which much of the story flows. Her vision of human beings is a moving look at the power and folly of what it means to live inside our skin. The Plover is a wonderful path to that rare sadness, when it slowly dawns on you that the book is over, that the characters have moved on into the rest of their lives, and that you will never again read it for the first time. The antidote for that sadness might be found in the fun you had and in suspecting that you may have become a bit more human through the simple act of reading. This entry was posted in Book Review, Novel and tagged Brian Doyle, humor, writing. Bookmark the permalink.